Home » FARMHOUSE » 15 Gorgeous Farmhouse Lighting Ideas Integrating A Lot More Luxury to Your Ambiance! The placement, the direction and the kind of fixture that you go for when putting together a great lighting for your home can alter the ambiance of the space altogether. And farmhouse lighting is totally in the picture when speaking of adding a bit rustic luxury to your home. Just like these 15 gorgeous farmhouse lighting ideas on this list. Turn an existing orb to a beautiful light sphere that will adorn any setting with its gorgeous look and is super easy to make as you just need to attach a light bulb to the orb to work it up as the light sphere. You can always spray paint the orb to give it an even more stunning look when placed with the light. A vintage looking light with a lantern concept will make up for a perfect rustic decor in any setting or room. The metal frame of the light looks extremely classic and will surely add charms to the arrangement where it will be placed. Featuring a shabby chic look, this wooden chandelier is all about the vintage decor as the weathered texture given to it works up beautifully for an antique look while the frame with a classic designing is the absolute cherry on the cake. Perfect for the farmhouse dining areas, this light here will complement any theme given to the room. 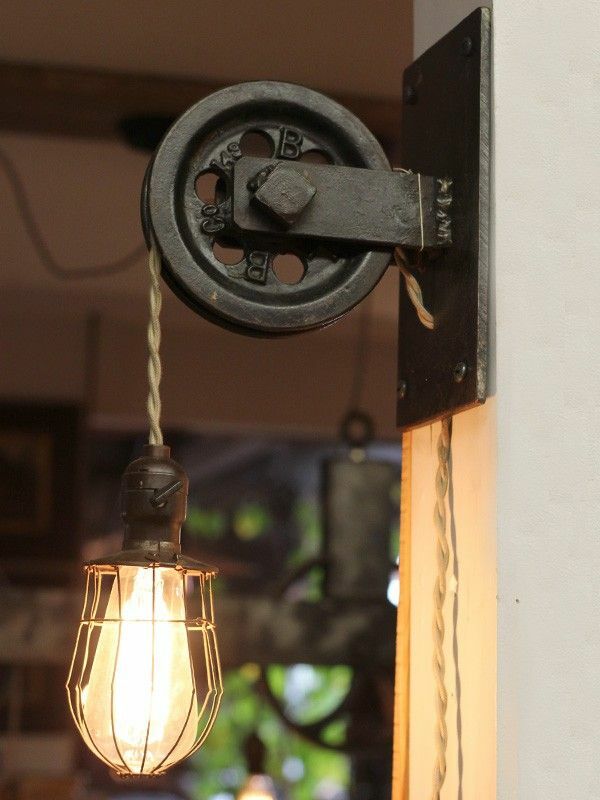 Breathing out the rustic vibe, this couple of vintage industrial lamps can be worked up to illuminate any setting be it indoors or outdoors. The weathered texture of the metal lamps adds to the rustic look even more while you can use a rope to hang these making the appearance even more charming in the arrangement. Putting together this gorgeous light fixture is as easy as it is pretty to look at. All you have to do is gather some vintage light fixture and paint them in the color of your choice after attaching them to a wooden board. Put the bulbs inside and once lit, you have your own stunning light fixture. Keeping it simple and minimal, these light fixtures are absolutely pretty and give off a stunning vintage appeal. The main show stopper in these lights will be the rustic bulbs that you put in them like the ones in the idea. You can place these lights over your bed or in the porch or anywhere you like. A simple bulb caged in a vintage looking frame hung on a pulley makes up for a gorgeous lighting idea that will surely compliment any setting as the light looks extremely classic and elegant. The rope that hangs the bulb makes it even more rustic making this light fixture perfect for both indoor settings as well as outdoors.